Shhhhhh! 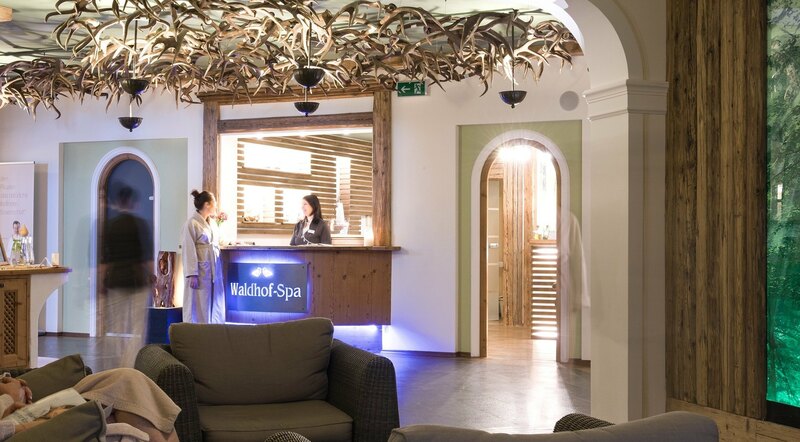 Quiet is the quintessence of a visit to the Waldhof Sauna World. Here we are dedicated to your beauty and wellbeing with an excellent range of beauty treatments and wellness massages. In a total of 14 treatment rooms aromatic herb baths are prepared, delicate massage oils worked into your skin and peelings are carried out. With our beauty and wellness treatments we look forward to helping you reach a pleasant feeling of wellbeing for body, mind and soul. Our friendly, excellently-trained massage, beauty and herb experts accompany you on your journey to more radiance and inner balance you. Please note however, that our wellness and beauty treatments are only available to Ebner’s Waldhof guests and visitors to the Waldhof Day Spa. Please come to your treatment in a bathrobe and bring your spa towels with you. Let us know when you book your appointment what kind of treatment you would like as to pamper you with that you will find in your spa basket in your room.